Be party-ready in this off-the-shoulder floral-print romper. 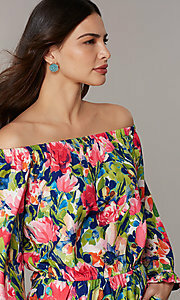 The little party romper has an off-the-shoulder bodice that boasts long peasant sleeves. 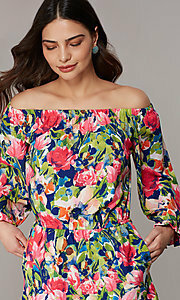 The sleeves end in playful ruffles adding to the bohemian vibe of this little romper, while a spring-like floral print blooms in shades of pink and green. The wide leg shorts, trimmed in ruffles, have side pockets that add to the super-cute style. 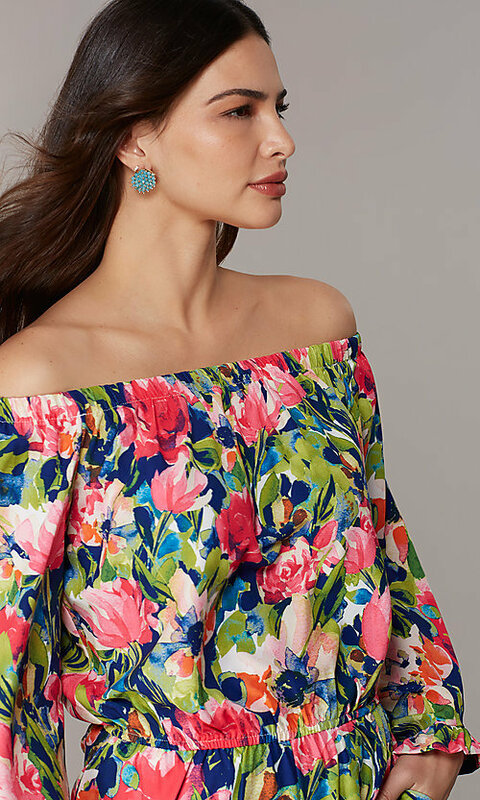 For family get-togethers, casual wedding celebrations, and other semi-casual events, slip into this off-the-shoulder floral-print romper with sleeves.